Alex Monroe is one of my favourite jewellery designers, so I was very excited to be invited to the official opening of his first standalone store and preview his new Best of British collection. The shop at the prettily named Snowfields – under the shadow of the newly completed Shard, London and Europe's tallest building, and near London Bridge Tube station and Borough Market – is just as pretty inside. Pretty magical, in fact. Alex Monroe conjures nature indoors, not only through his designs, but with the decor, too, with trees and birds adorning the whimsical space (below). 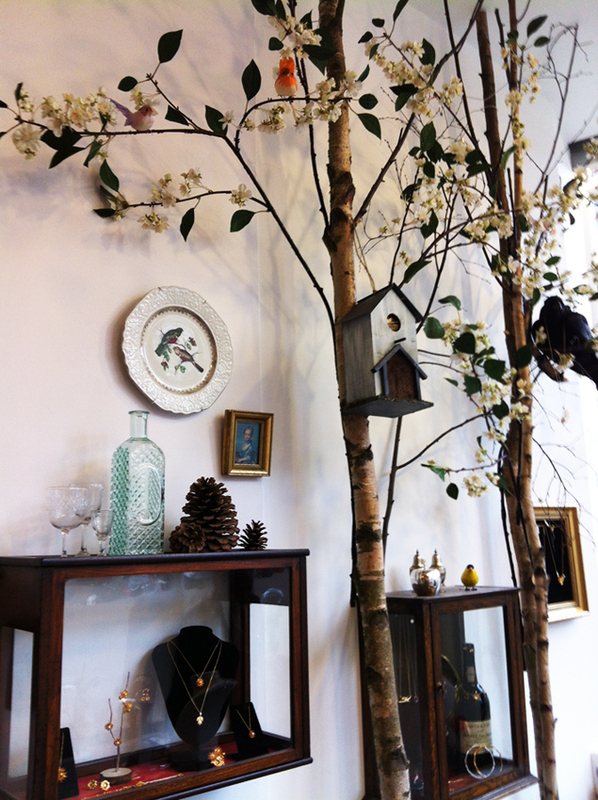 Curio cabinets showcase his jewellery, from vintage noticeboards to old butterfly cases to taxidermy bell jars. Jutta, his store manager, tells me Alex has been collecting these pieces for years. And now they come into their own, to reveal the inspirations and ideas behind his work. 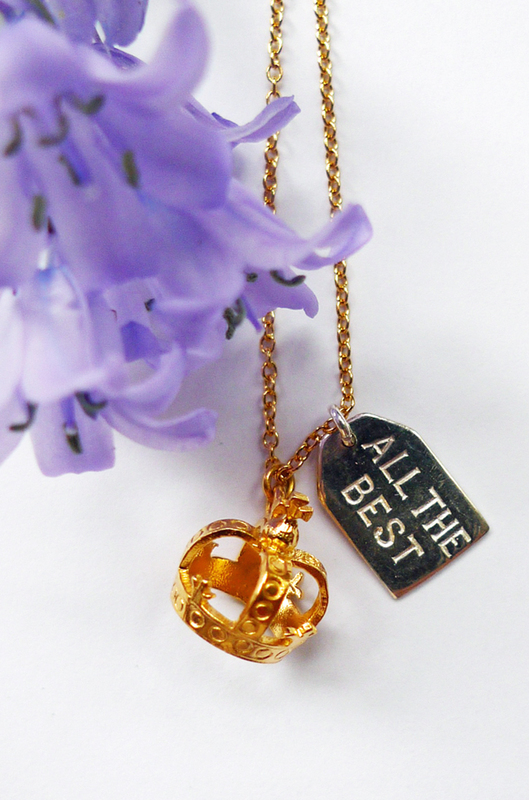 Inspired by the Queen's Diamond Jubilee celebrations, the Best of British collection is a charming array of all things British, from a crown (£165, pictured top and below) to a teapot spouting a brown sapphire (£138) to a delightful gingerbread man with black diamonds for buttons and eyes (£180). If you're in London this Thursday 31st May, join Alex as he launches the collection at his boutique with a Jubilee extravaganza from 10am to 8pm. It's a thoroughly British affair with Holdsworth chocolates, Clipper Tea and Belvoir soft drinks on offer throughout the day. Plus, the first 30 customers will receive a goodie bag with their purchase, with British-brand gifts from Burt's Bees and Dorset Cereal among others, plus a jar of Alex Monroe honey! 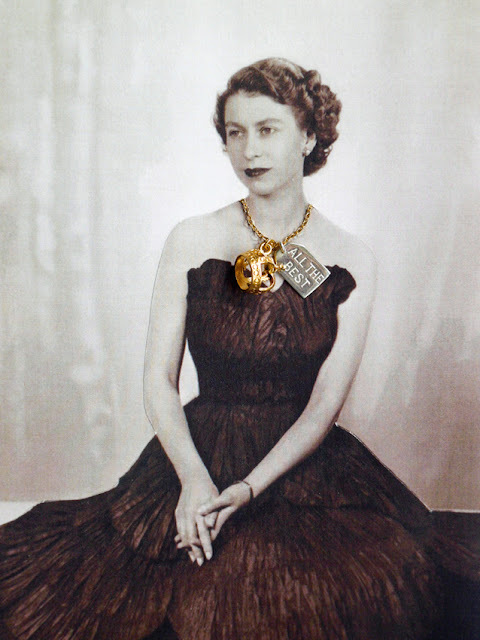 The crowning glory of the collection (if you'll excuse the pun) is the iconic gold-plated and silver crown necklace, as modelled by the Queen here. It'll be available online and at Alex Monroe stockists – or you could win it! The designer has kindly donated the necklace, worth £165, for me to give away to one lucky reader. So, to enter this competition, become a fan of my Facebook page and leave a comment saying which Alex Monroe piece is your ultimate favourite. Is it Alex's bestselling bumblebee necklace? Or has his feather designs tickled your fancy? Check out Alex Monroe's website now to scour your favourite, then visit my Facebook page to enter. 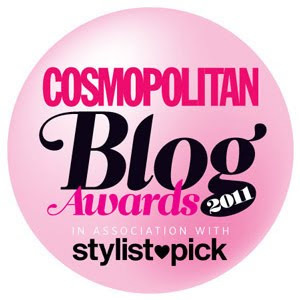 The competition ends at midnight on 17th June 2012. Good luck and all the best! This may be the first time a cup has featured on my blog. But just as nice clothes make me feel good, so too does nice homeware and this piece of Anthropologie china puts a smile on my face right now. Fashion brands aren't oblivious to the connection. Take a look on the high street and you'll see stores like H&M and Zara have extended their brands with home furnishings, with French Connection being one of the latest. Anthropologie, with its mix of fashion and lifestyle, is one of my favourite shops. As the sophisticated, older sister to Urban Outfitters, its grown-up yet bohemian decor – and the living wall of plant life in its Regent Street store – gives me a taste of the laid-back home I'd like to create. I could quite happily live in Anthropologie (although customers like me having a browse could prove to be a bit of a nuisance!). One of the (many) things Anthropologie does well is china. Quirky, charming and individual, it's the kind of crockery that's perfect for building a beautiful, mismatched collection. 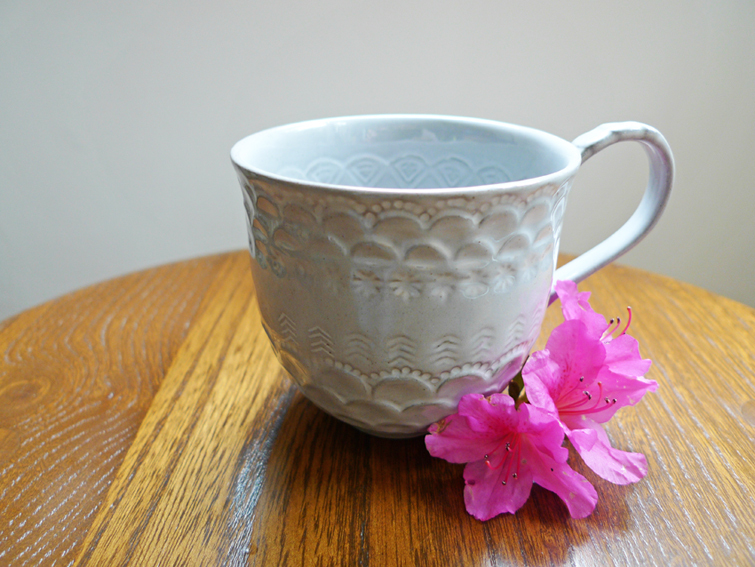 This little cup with its soft grey glaze reminds me of the beautiful but expensive Astier de Villatte pottery in Liberty. Bigger than a teacup but smaller than a mug, its dainty proportions and delicate detail are adorable. It's a snip at £2.95, reduced from £8. There's plates and bowls, too, along with a sage-green colourway. Do you like it? 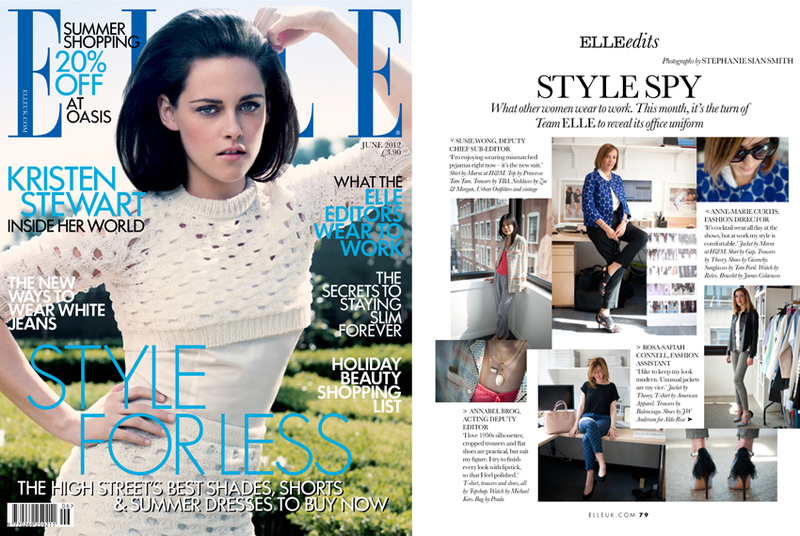 Bargainista Fashionista is in the June issue of ELLE (with Kristen Stewart on the cover). Check out the regular Style Spy pages and you'll see me there! ELLE's Style Spy slot peeks into the working wardrobes of people in fashion. Past coverage has included London fashion designers to the teams at Gucci, Liberty and more. For the June issue, it was the turn of team ELLE – including me. I love seeing what other people wear to work. Whether I'm on the Tube or walking down the street, I always take a cursory glance at other people's sartorial style. 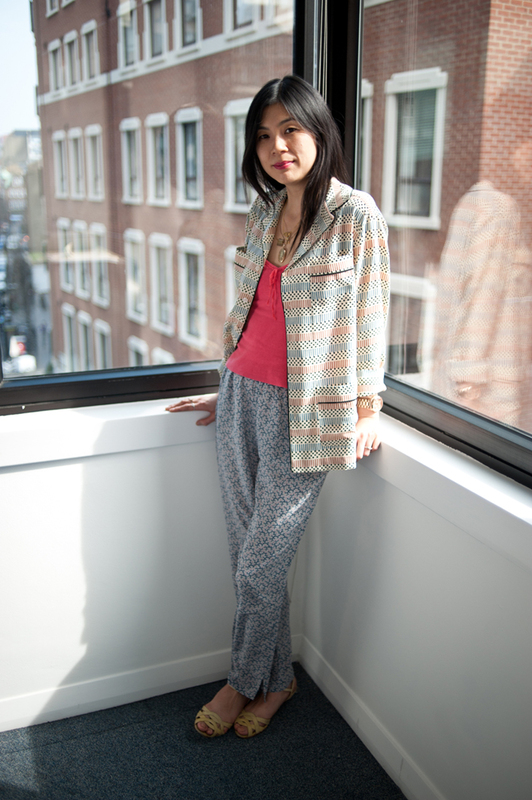 And I take inspiration from people in the office; their style shapes what I choose to wear. To see what the rest of team ELLE wear to work, from fashion director Anne-Marie Curtis's Marni for H&M jacket to acting deputy editor Annabel Brog's polka-dot Topshop jeans, get the June issue of ELLE, on sale until 29th May, and follow the What ELLE Wears blog at ELLEuk.com. If you've been lusting after this season's Nike x Liberty trainers, here's a quick and easy (and cheap) way to pimp up your existing sneakers. 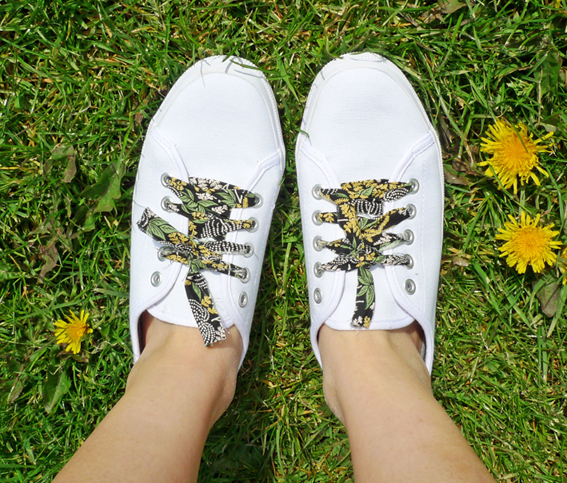 Get the Liberty effect with a strip of floral-print fabric turned into shoelaces. 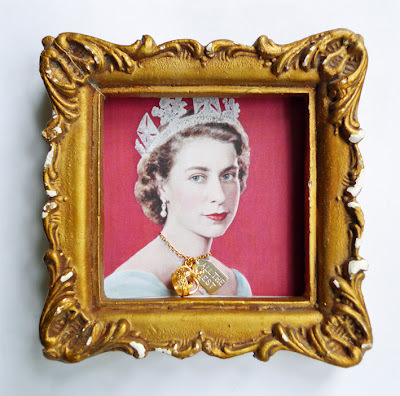 I've used some leftover Liberty Arts Fabric from my V&A Christmas decorations, but you can use any material you like. Just raid your wardrobe for something you no longer wear. Admittedly, my laces were made in a rush so they're too short and a little frayed. But I am going to make some more and run them up on the sewing machine. Just over a metre should do the job. Measure your existing laces to be sure. And, if getting crafty isn't for you, a speedy alternative is ribbon. With shops like VV Rouleaux and all good haberdashery departments stocking every conceivable colour and pattern of ribbon you could dream of, you're spoilt for choice. My sneakers are £18 from River Island but the high street has a pair in whatever colour you desire. 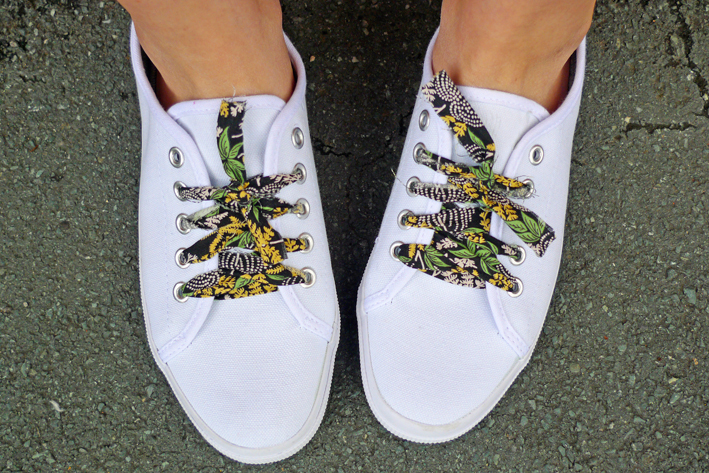 Or revamp your shoes your Liberty-print laces, too. This is my latest purchase. Recognise it? Yes, I've been naughty and splashed out on a pair of Whistles wisteria-print trousers. As I predicted back in March, the Whistles wisteria print is this spring/summer's equivalent of last year's Carrie skirt - you know, the sell-out design everyone has to have. So, if that's the case, how did I get my hands on it? Allow me to let you in on a secret: while Whistles has more or less sold out of its popular wisteria print, ASOS has got the whole collection (top, trousers, dress, jacket). And so does John Lewis. Good news if you thought you'd missed out on this pretty print. And you know what? It's so very nice to receive something box fresh, straight from the warehouse, that has never been hung in a shop or tried on. I think my choice of the trousers must, in part, be due to the pyjama trend. However, with its slim-cut leg and cropped ankle length, these are smarter than your casual PJ bottoms. The price of the trousers (£125, but they are silk) means I probably won't be completing the PJ look with the matching top. But then, how often would I work the head-to-toe wisteria print, anyway? 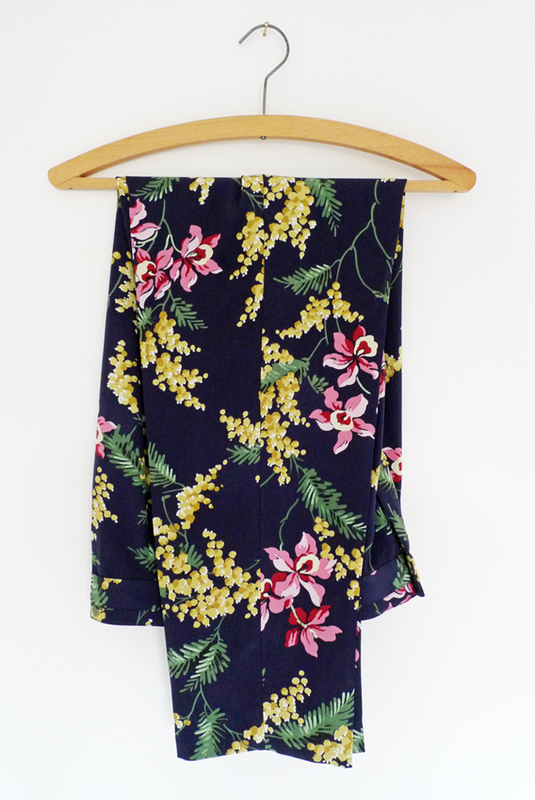 Instead, I'll be teaming my Whistles wisteria-print trousers with a plain white tee. Or, if I'm feeling brave, I might go for a medley of prints. Watch this space. I've realised shorts are my work staple. I wear them a lot. This pair from New Look in a fresh, orange-sorbet shade bridges the gap between spring and summer. Right now, the tights are a necessity, but when it gets warmer it's bare legs all the way (although maybe not in the office). With the cute scallop edge and saccharine-sweet colour (right on trend with this season's pastels), these shorts could almost be mistaken for a pair of pretty French knickers. Thankfully, they're not made of silk and the sharp front pleat gives them a tailored edge. The shorts come with a sash belt that you can tie in a bow. I've swapped it out for a less bulky one and tempered its girliness with a pair of brogues. I had to admit, they do crease easily. But, at £17.99 they're excellent value. What's more, they come in delicious mint and lilac, too. So, what colour are you going to choose? For more workwear ideas, check out the What ELLE Wears blog at ELLEuk.com. River Island marks 15 years of supporting Fashion Targets Breast Cancer this year with two limited edition T-shirts and a friendship bracelet. The cotton T-shirts feature typographic slogans that read 'amazing' and 'fabulous'. Priced at £15 and £16, 30% of the price is donated to Breakthrough Breast Cancer. The Fashion Targets Breast Cancer friendship bracelet, meanwhile, is sold at River Island till points with a suggested donation of £2, 100% of which goes towards the charity. To celebrate its continued of support and showcase this year's collection, River Island challenged three bloggers to style one of its Fashion Targets Breast Cancer T-shirts their way on a budget of £50, £100 or £150. I was one of the chosen three and allocated the £50 budget. I may be Bargainista Fashionista, but a head-to-toe River Island look for £50? That proved more of a challenge than the actual styling! But a browse in store reassured me the task in hand is achievable. So, rocking a festival vibe, I teamed my tank-style T-shirt with a white cotton broderie anglaise skirt (£20), white canvas plimsolls (£18) and a pair of oversized sunglasses (£10). At £48, I came in under budget! The broderie anglaise skirt is simple yet pretty, while the elasticated paper-bag waist is comfortable and easy to wear. And, as you know, I love pockets! As for the sunnies, I like the big round frames and the quilted arms on these. Very Chanel. You can also get them in tortoiseshell. 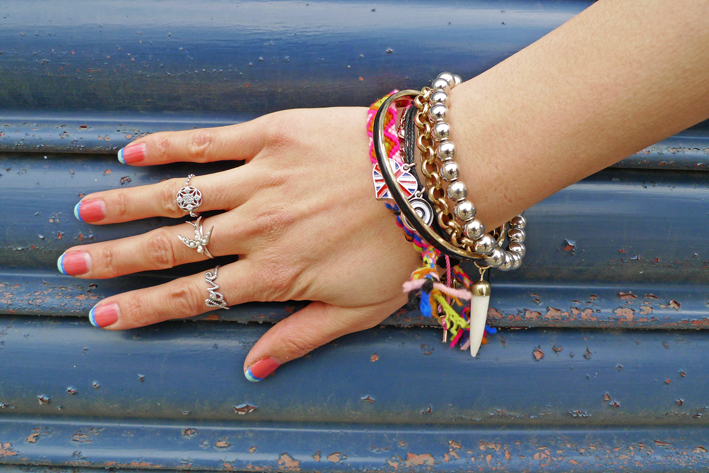 To personalise the look, I've piled on the friendship bracelets and layered a couple of necklaces. The River Island/Fashion Targets Breast Cancer (FTBC) bracelet is the black leather one with the enamel Union Jack heart and FTBC black and white target charms. Btw, do you like my nails? It was my first attempt at nail art and, I have to admit, I was rather pleased with the results. White sneakers, meanwhile, sum up summer for me. They remind me of Wimbledon and festivals and allow me a season to create that worn-in look that's perfect for autumn. These tennis shoes come in pale pink, turquoise and beige, too. To make the look my own, I've replaced the shoelaces for ones I've made from Liberty-print fabric. Swapping laces for fabric or ribbon is a really quick and easy way to individualise sneakers. So there you go, £50 goes a long way at River Island when you're Bargainista Fashionista. Click here to see how the other two bloggers My Labyrinth and The Style Crusader styled their tees on budgets of £100 and £150 respectively. And don't forget to show your support for Fashion Targets Breast Cancer with the River Island tees and friendship bracelet.